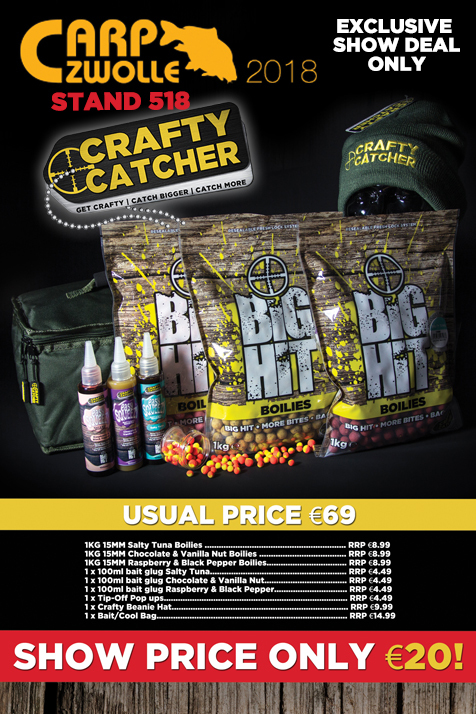 For the first time ever Crafty Catcher will be present at Carp Zwolle. The biggest Carp show in Europe. Visit our stand to see all of our products and to pick up our exclusive show deals. 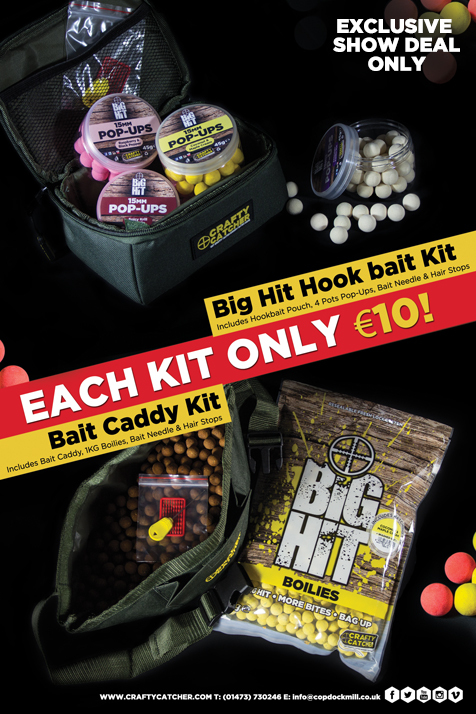 Our deals consist of a complete Boilie package from €69,- for only €20,-, a Big Hit Hook Bait Kit and a Bait Caddy Kit both Kits cost €10,- and both come with a nice pouch. This way you can get familiar with our great products and our staff. We hop to see you 2, 3 or 4 February at our stand 518 in Zwolle!